So, you have gotten your headshots taken. Now what? You need to begin promoting yourself, and make the most of your investment. 8x10" prints. Anyone who has been acting for any period of time understands the importance of having at least 25 to 50 8x10" copies of their headshots so they can hand them out if asked during auditions, open calls, and showcases. We recommend www.reproductions.com as they provide the best quality in the industry. The quality is worth it even if they are a few dollars more because of the huge positive first impression their prints make. Other marketing materials. If you're planning on doing any performances or being in a public position at any point, be sure to keep your headshot in an easy-to-access folder so you can send it to graphic designers who need it at a moment's notice for playbills or other promotional pieces. Facebook and other social profiles. We are frequently asked by clients whether it's OK to upload a professional headshot to "fun" social media sites such as Facebook, Twitter, or Instagram. Most people are concerned with appearing "full of themselves." This is definitely not the case. 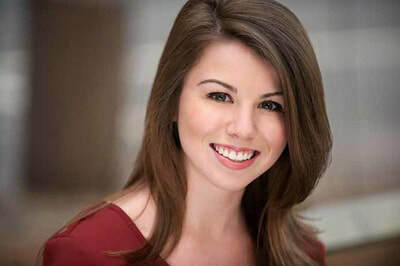 Using your new headshot on your favorite social media profile not only will help in your professionalism, but it will also help your friends because they will say to themselves, "Well, if he/she is willing to upload it here, I will too." And then everyone can have a great headshot on their Facebook page. Remember: 92% of casting directors and agents will research you on social media! Online dating. It's much more common than you think to use professional photos for online dating purposes. We work with people at least a few times a month who need better photos for their dating sites. In most cases, it's best to use half-body or full-body shots, but for the small profile image, a headshot can work great, especially if it was taken outdoors. If you have any questions or suggestions to add to this article, feel free to email Martin directly at martin@cityheadshots.com.